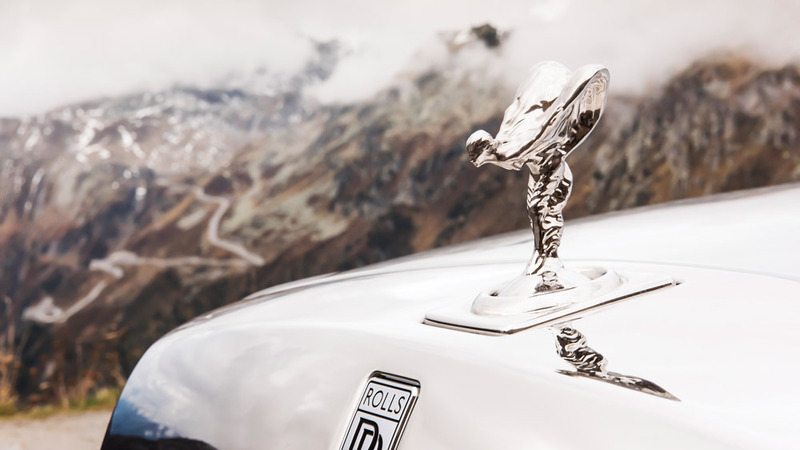 Short of wearing a crown around town, few visual cues instantly communicate one’s affluence and influence like the Rolls-Royce Phantom - a model that, until last summer, had seen only seven iterations since 1925. The lag between releases reflects a philosophy of valuing painstaking improvements over incremental additions: “Take the best that exists and make it better,” said the late Henry Royce. But how do you improve on an automobile that already represents the height of excellence? You create the Phantom VIII. Müller-Ötvös and I were in the lavish rear compartment of an extended-wheelbase version of the Phantom VIII, a vantage from which it was evident that the marque had accomplished its mission. Along the road to the Park Hotel Vitznau in the Lake Lucerne region, the backdrop of verdant mountainsides and sublime shoreline complemented the tranquillity of the vehicle’s environment. Much of that tranquillity owes to the Phantom VIII’s nearly 131kg of acoustic insulation, which creates a seemingly soundproof space. Customised foam-layered tires also contribute to the newest Phantom’s 10 per cent reduction in noise at 99km/h. 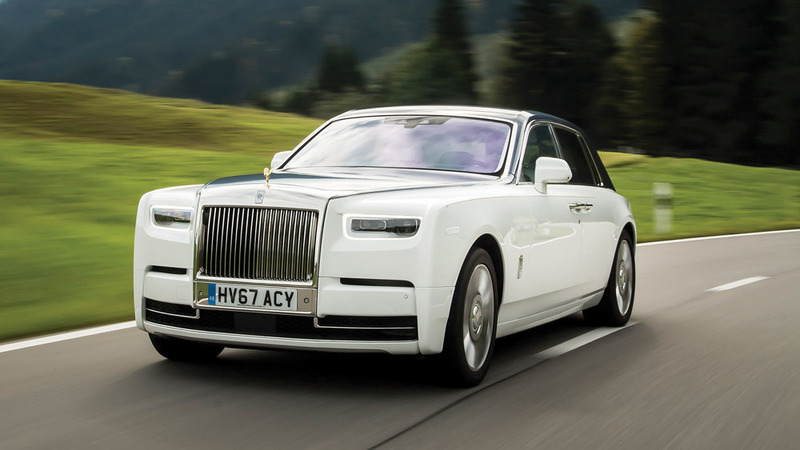 The Phantom’s sybaritic aesthetic, meanwhile, has been amplified in the latest edition. Accoutrements include plush lamb’s-wool rugs, wood panelling, rear picnic tables fronting 30cm entertainment displays, and the signature Starlight Headliner (comprising 1344 hand-placed fibre-optic lights). Attention to detail also demands that the leather seats be made of hides sourced from free-range cows raised at altitude, to avoid imperfections from barbed wire or insects. Yet of all the touches, one new element stands out not only for its elegance but for its unprecedented personalisation. Commissions thus far for the Phantom VIII’s display have included works by Helen Amy Murray, Liang Yuanwei and Thorsten Franck. The latter transposed an owner’s digitised DNA sequence onto stainless steel - plated in 24-karat gold. 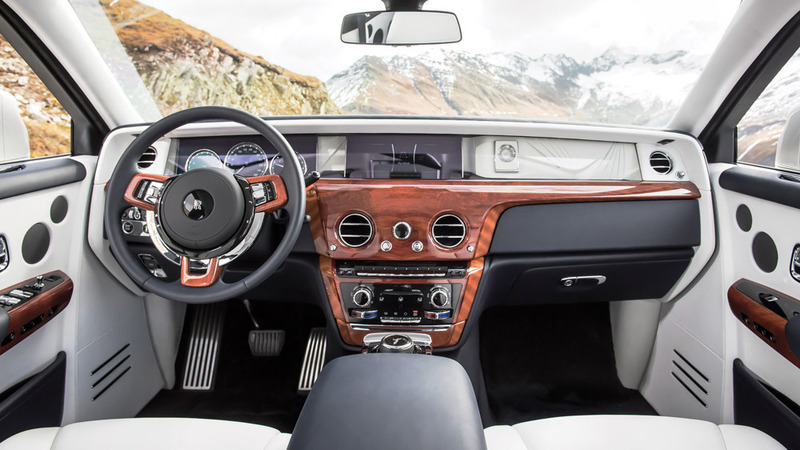 While the passenger experience in the Phantom VIII is unparalleled, pilots will find that power and performance don’t take a back seat to baronial amenities. 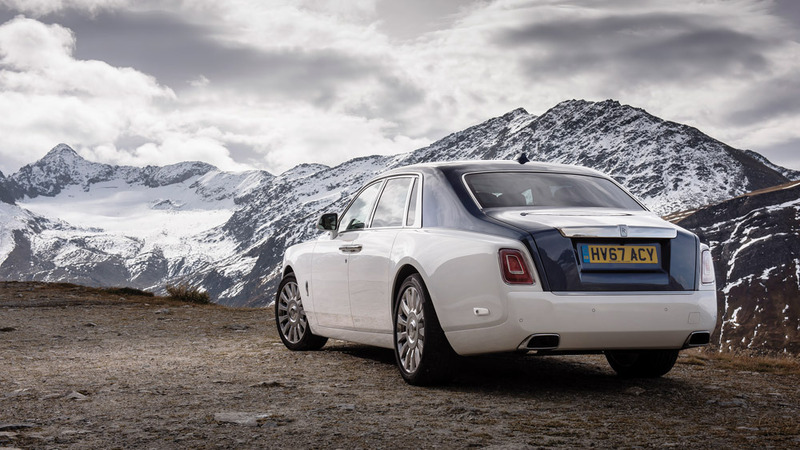 Steering a standard-wheelbase example through storied Swiss hinterland, I experienced what Rolls-Royce rightly calls its “magic carpet ride.” But even Aladdin had to deal with air turbulence, whereas I might as well have been rolling on byways of butter for how smooth the Phantom felt. The eighth-model revision refines the ride with aluminium space-frame construction, which increases structural rigidity by 30 per cent over its predecessor. In addition, the chassis benefits from a self-levelling air suspension and control systems that continually make adjustments based on rate of acceleration, four-wheel steering data, and feedback from a collection of cameras. The result is that even on asphalt-covered cow paths, the nearly six metre four-door is implausibly athletic and nimble for a vehicle of its size. Not a surprise is what lies under the bonnet - a V-12 engine. However, to keep things quiet, the naturally aspirated beasts from Phantoms past have given way to a 6.75-litre, twin-turbocharged heart that beats with 419Wkw and900Nm 319 ft/nm of torque. 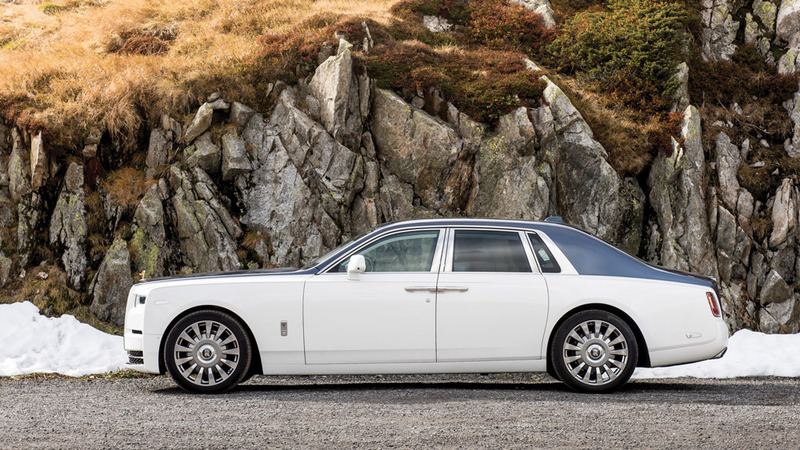 Paired with a ZF eight-speed, satellite-aided transmission, the engine propels the standard Phantom from zero to 99m/kph in 5.3 seconds on its way to a governed top speed of 249m/hkph.